The European Space Agency signed a contract with a German-British consortium Thursday to build eight more satellites for its Galileo satnav system, an alternative to America’s GPS, the agency said Thursday. The deal was signed at the International Paris Air Show with German company OHB as the prime contractor, and Surrey Satellite Technology Ltd in charge of navigation systems. The ESA signed on behalf of the European Commission, which owns and funds the system. “Europe’s Galileo navigation constellation will gain an additional eight satellites, bringing it to completion,” the ESA said in a statement. Eighteen Galileo satellites have been placed in Earth’s orbit to date, with four more due for launch later this year. 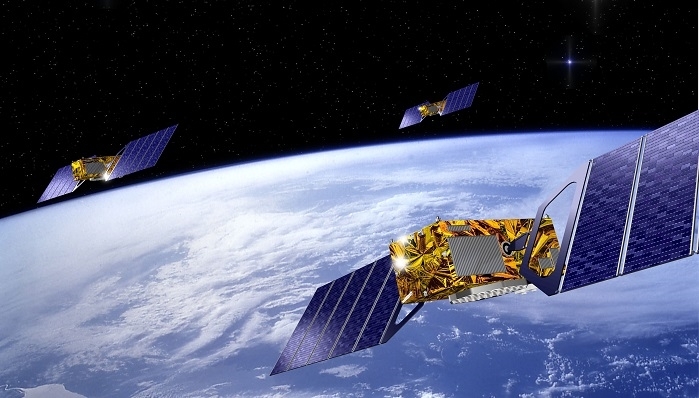 With the last eight satellites to be built and tested by OHB, the EUR 10 billion ($11 billion or roughly Rs. 72,092 crores) constellation will ultimately comprise 30 orbiters. Twenty-four will be operational, in three orbital planes, with the rest standing by as spares, in orbit and on the ground. The European Commission expects Galileo to be fully operational by 2020. The project has experienced many setbacks, including the placement of two satellites in the wrong orbit. Galileo went live in December last year, providing initial services with a weak signal, having taken 17 years and more than triple the original budget. The civilian-controlled service is seen as strategically important for Europe, which relies on two military-run rivals – GPS and Russia’s GLONASS. Neither provides a guarantee of uninterrupted service. In January, ESA said the system suffered another setback, with atomic clocks – claimed by the agency to be the most accurate ever flown for geolocalisation – failing onboard a number of satellites in space. Each Galileo satellite has four ultra-accurate atomic timekeepers, but needs just one working clock. The failure of nine clocks out of 72 launched so far, has not affected operation, the agency said at the time. But it would necessitate a relook at clock design, meaning further possible delays. Once fully deployed, Galileo aims to pinpoint a location on Earth to within a metre – compared to several metres for GPS and GLONASS. Clients of a paying service can get even more accurate readings – down to centimetres. It will also offer search-and-rescue services. No Comments on "Europe’s Galileo Satellite Navigation System to Get New Orbiters"